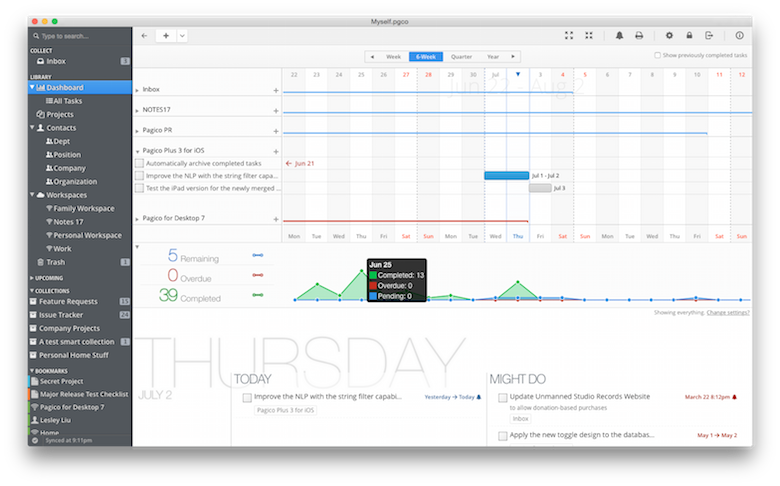 Pagico visualizes your todo lists and turns them into a visually intuitive, interactive chart. This way, you will never get overwhelmed even when you have dozens of projects going at the same time. that presents all your schedule in a visually intuitive way. with intelligent Natural Language Parsing. shows all your schedule, grouped by projects (or contacts). show you what's overdue, and what's next. your daily tasks. It's either Must-Do or not. Who needs 10 levels of priority anyway? See how to manage projects with Pagico for Desktop.